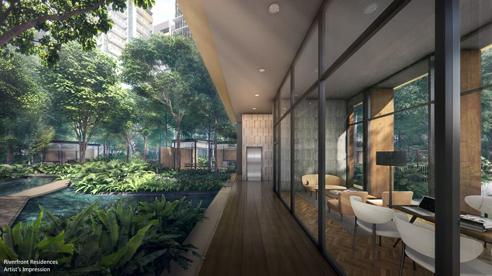 Riverfront Residences is a new condominium located along Hougang ave 7, Singapore. 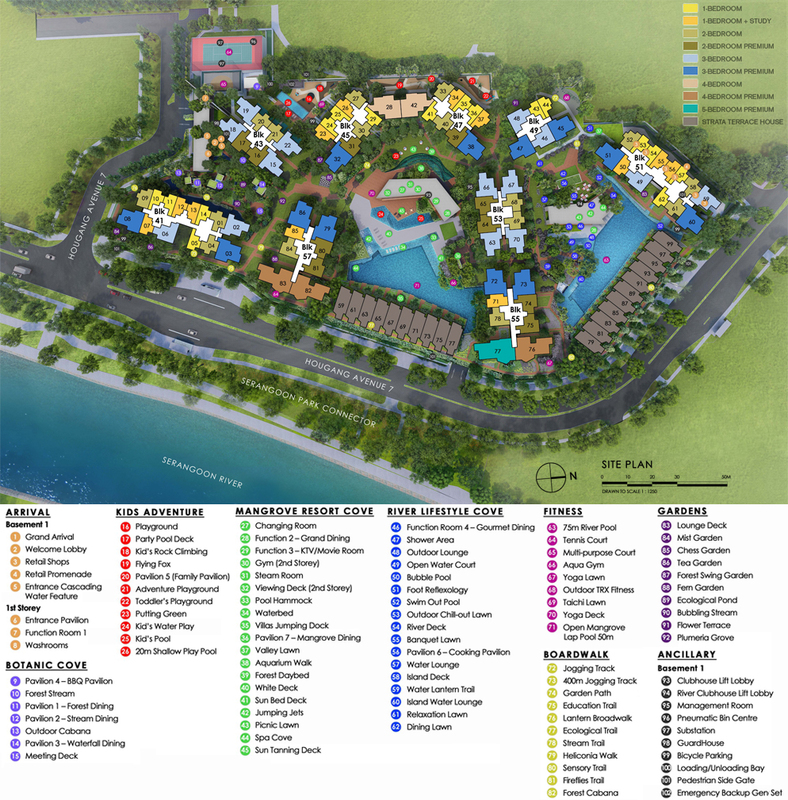 Riverfront Residences provides Quality Waterfront Living at a quiet and tranquil environment. 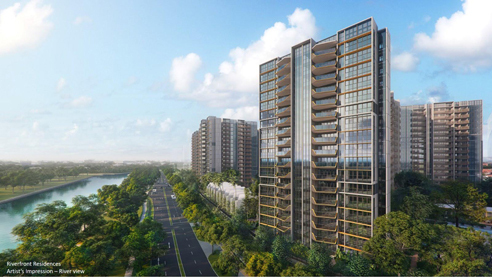 Expected to be completed in 2024, Riverfront Residences is relatively close to Hougang MRT Station and Kovan Mrt Station. Free shuttle bus service will be provided for Riverfront Residences to Hougang for first year of residency. 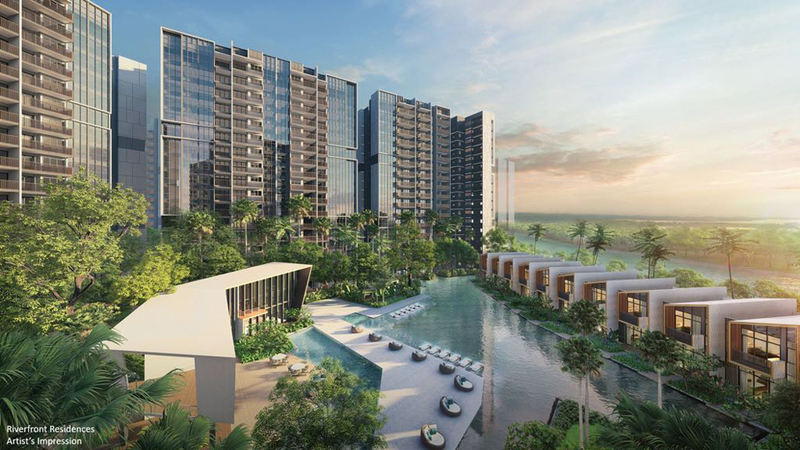 With 101 condominium facilities, Riverfront Residences residents will be able to indulge in the luxurious facilities designed by award winning landscape architect. 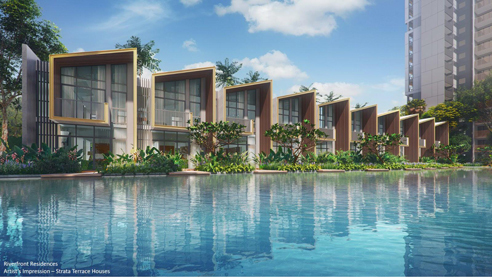 Facilities are separated into Botanic, Resort and Lifestyle Cove, with 3 holiday villa style pavilions with private pool and 3 swimming pools for the Riverfront Residences residents to enjoy. 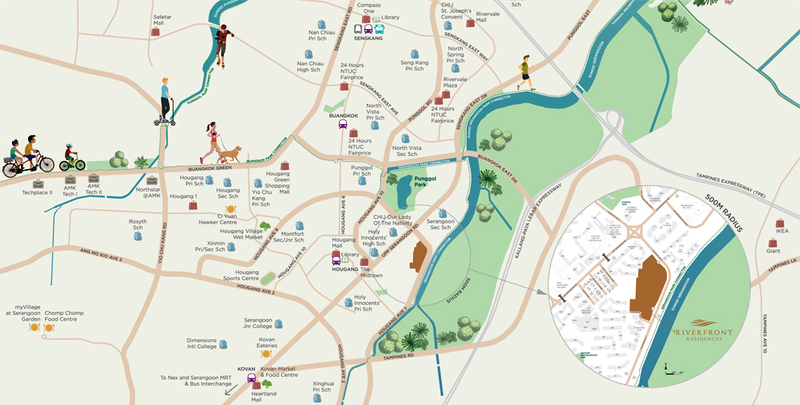 Residents at Riverfront Residences not only being able to enjoy conveniences with the 6 shops within the development, it also has direct access to the Serangoon Park Connector, which is part of NParks’ North Eastern Riverine Loop that connects to other major parks in the North-East Region including the nearby Punggol Park. 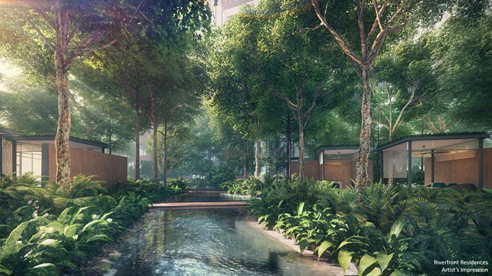 Riverfront Residences is also located within minutes walk to Hougang Mall and close to Heartland Mall at Kovan. Riverfront Residences is also ideal for families with school going children, with many reputable schools located in the vicinity. 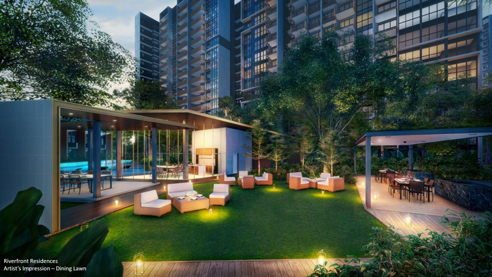 Riverfront Residences is a 99 year leasehold new condominium development located at Hougang ave 7. 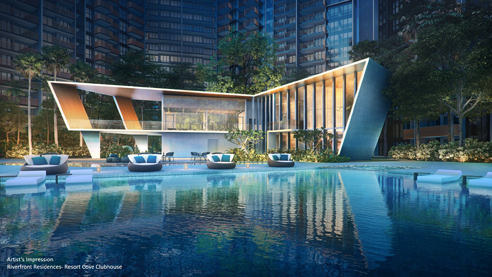 Expected to be completed in December 2024, Riverfront Residences will comprise of 1472 residential units.